Ready made tea mix of full bodied Assam tea blended with lemongrass flavor. 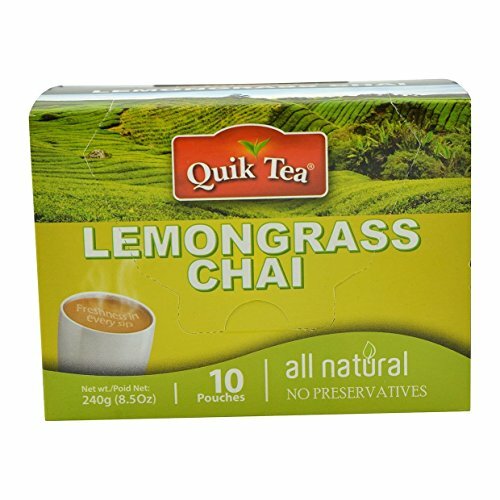 QuikTea Lemongrass Chai has a tangy sweetness and is much sought after for its health-promoting properties. Revive your taste buds with the flavor of the orient! MAKES A GREAT GIFT: Our tea packs make a great gift for just about anyone and is perfect for tea lovers as it allows them to explore new flavors and find a new favorite!